The MGS3 ’Scout’ is an all-terrain vehicle equipped with PGSR-3i ’Beagle’ radar, an electro-optical sensor array with thermal- and daylight camera, optional laser range finder and an operator workplace. 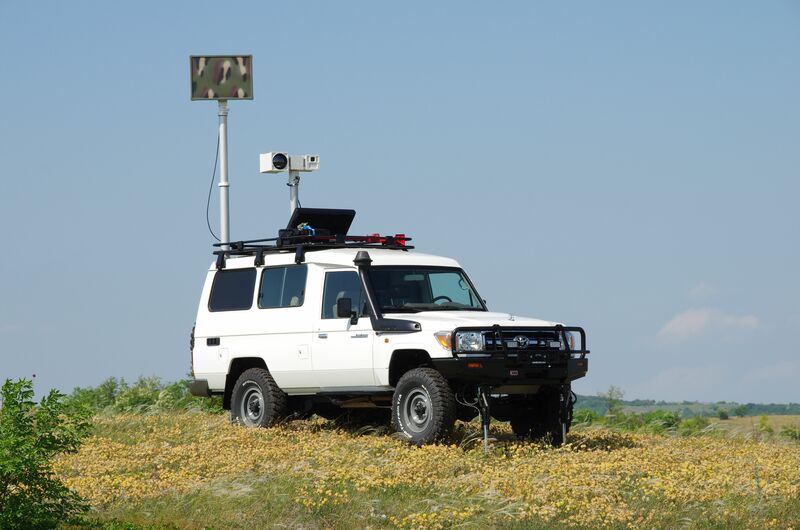 The radar PGSR-3i ’Beagle’ provides continuous observation of large surveillance areas, while the electro-optical sensor array provides detailed picture of detected targets for ultimate identification at both day and night operation. The electro-optical head and the radar are mounted on retractable masts. The vehicle is assembled with a leveling system in order to stabilize and level the sensors. The radar, the cameras and the control functions are integrated by control software ADAMS and provide automatic slew-to-cue functions.